Mercer Island ran a 3-month bikeshare pilot program with LimeBike this summer, testing out a fleet of approx. 25 E-Bikes on MI. While the bikes can still be seen on the Island, the official pilot period has ended. In 90 days, over 1,200 riders took approximately 4,100 rides totaling almost 4,000 miles! The City is collecting user and community feedback to help Council decide on next steps. If you haven’t yet taken our quick online survey, please do so today, as it will be closing soon! Bike share companies have found that e-scooters are both more profitable and expand the size of urban markets. 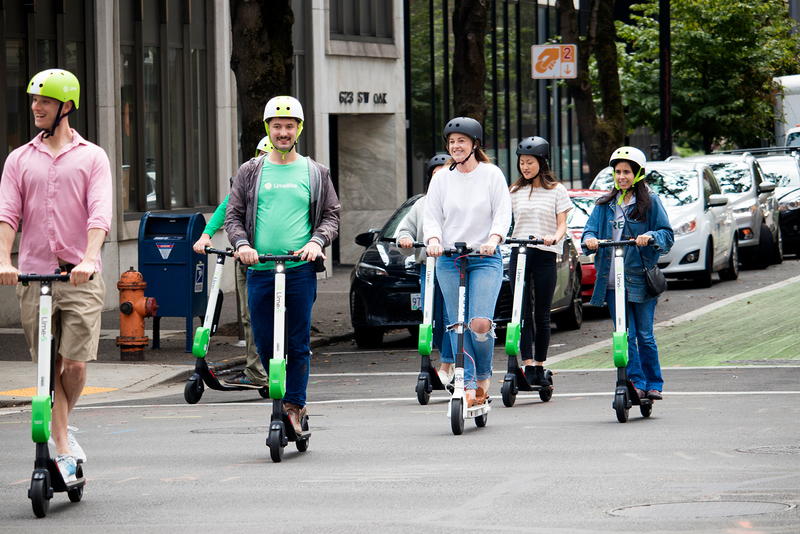 Several bike share companies hope to introduce e-scooters to Seattle and Puget Sound cities. Introducing scooters has resulted in a backlash or at least controversy, because the current infrastructure and regulations are not yet designed to accommodate them. The hyperlinks below connect to videos and articles describing situations on the West Coast, New York, Paris and London. Ride single file when cars present. Use a horn or bell to warn walkers.